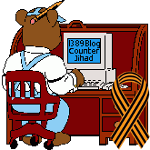 Iraq — 1389 Blog - Counterjihad! Phony Muslim refugees find northern Europe COLD and streets not paved with gold! 45 ISIS fighters killed by poisoned Ramadan meal: Jihad vs. jihad, or bad sanitation?